My intent is to provide both text [in MdC] format and dictionary resources. 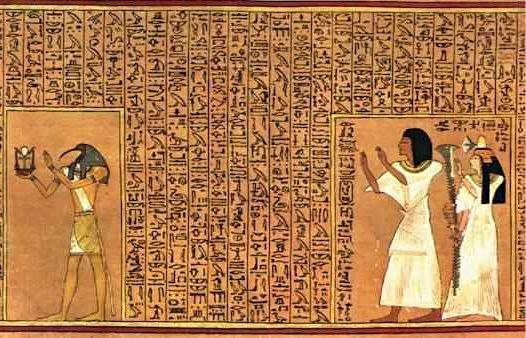 I will also provide links to other Egyptology resources on the web. I would welcome submissions of texts in MdC format, and after reviewing would be happy to make them available to other users. In addition to the text resources, there will be a comprehensive dictionary resource. This includes an English version of the Beinlich list [with additions - will add new sources as I find them] and an English version of the Demotisches Glossar. They are currently in spread sheet format, but will be converted to DB for on-line reference. They include links to the relevant pages in WB and DG. I hope to make this site "open source." By that I would welcome participation by anyone interested in submitting, reviewing, or assisting in producing resources. The target audience is for students and anyone interested in learning or using Hieroglyphic [Hieratic and Demotic as well] texts. Any errors or omissions noted would be very welcome, and suggestions for additional texts would also receive attention. I intend starting with texts such as those in Sethe's Lesestücke and Bibliotheca Aegyptiaca. Other less common texts will be added [especially in response to requests]. Please feel free to make suggestions for this site. Please get in touch and let me know what you think of this site. Also feel free to contribute to this site with your own MdC texts.